If your hydronic or steam heating clients are using gas-fired or electric storage water heaters, they could be missing out on significant energy savings. When it comes time for them to replace their existing water heater, you could do them a huge favor by suggesting an indirect-fired water heater. Using the existing space heating boiler as a heat source for domestic water can increase efficiency and reduce recovery times, providing more hot water for less money. In this blog, we’ll touch on the advantages of indirect-fired water heaters as well as our favorite options here at Able Distributors. 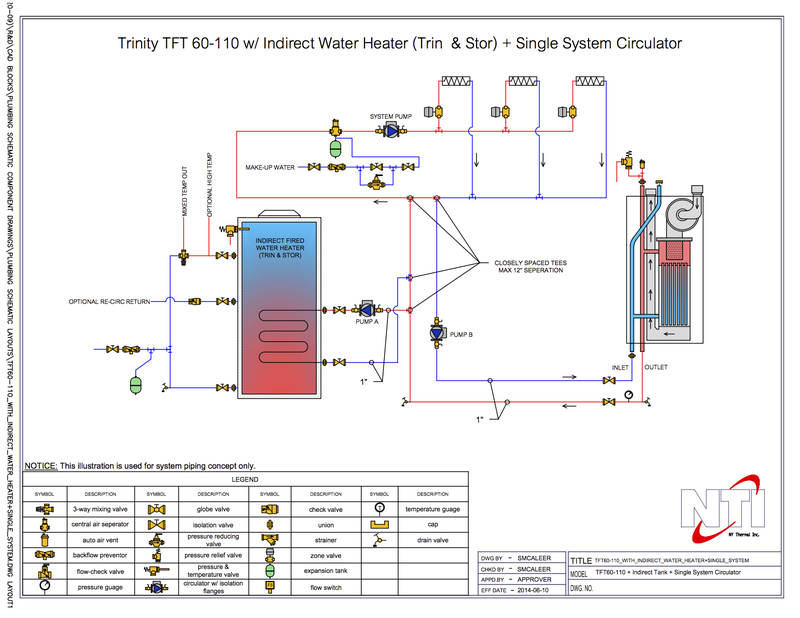 The basic principle of indirect-fired water heating is simple. Indirect-fired water heaters are basically a storage tank with a heat exchanger. Water or steam is heated by the boiler then circulated through the indirect water heater’s heat exchanger, which extracts the heat and transfer it to the water stored within the tank. If you have customers who have already invested in a high-efficiency boiler, why not allow them to take advantage of that equipment in as many applications as possible? While high-efficiency boilers obviously offer this advantage, that doesn’t mean that hooking up a mid-range boiler won’t provide serious benefits as well. Chances are that your clients boilers have higher capacities than their water heaters. By utilizing this capacity in water heating, they’ll see less down time before hot water availability in cases of high demand. 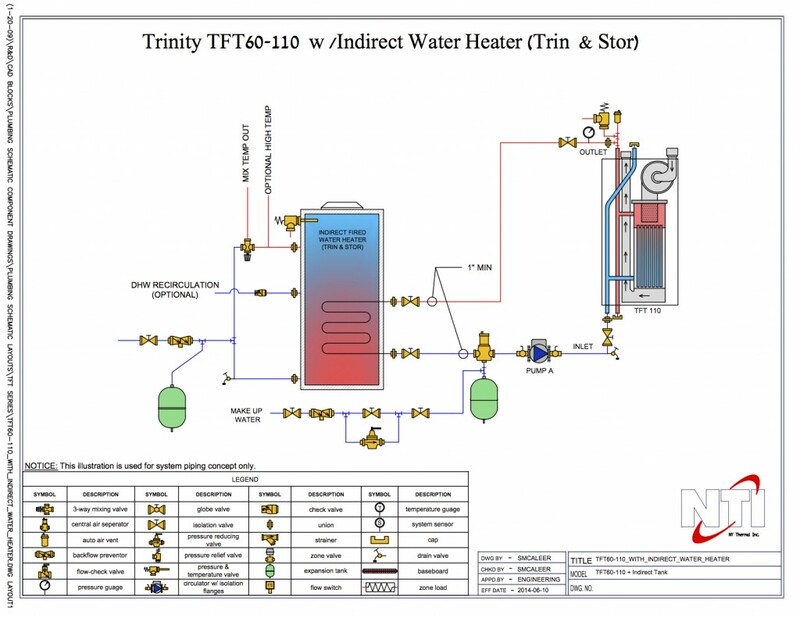 In terms of indirect-fired water heater recommendations, NTI’s Trin & Stor S Series is near the top of our list. The S Series utilizes stainless steel for the tank, heat exchanger, and fittings. This choice of materials provides the perfect balance of durability and heat transfer efficiency. The tank is passivated before leaving the factory to provide an extra layer of protection against corrosion. To reduce standby heat losses, NTI employs a 2″ thick layer of expanded polystyrene foam. NTI stands by their S Series indirect-fired water heaters with a seven-year parts warranty and a limited lifetime warranty on the tank, meaning that your clients are covered for as long as they live in their current home. The S Series is available in 40, 53, 79, and 119 gallon models. The advantages of indirect water heating are numerous and obvious, but many homeowners are unaware of them. Next time you have a client with a boiler looking to replace their water heater, take the time to educate them on this option. It can even serve as a gateway to discuss retrofitting their heating system with a higher-efficiency boiler for maximal long-term savings. As always, you can contact your local Able Distributors branch for more information or to place an order today.